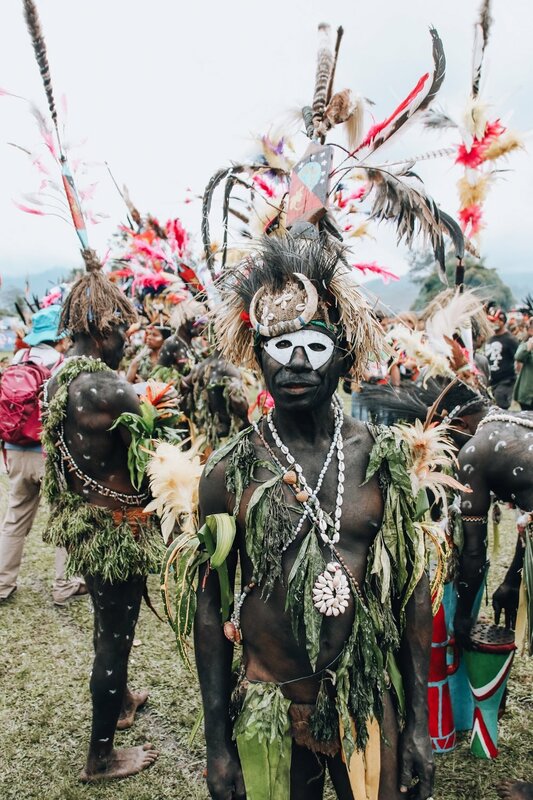 According to legend, on the remote island nation of Papua New Guinea (PNG), the Asaro tribe of the Eastern Highlands were once defeated in battle by a fierce enemy tribe. Forced to flee for their lives into the Asaro River, the tribe waited until it was safe to return to their native homes. At dusk, they slowly rose from the muddy river banks and returned to see what was left of their village. The enemy, seeing them rise from the river covered in dried clay, believed them to be evil spirits, and they fled in fear of their ghost-like appearances. Realizing this new power, the elders of the Asaro tribe cunningly decided to create a new battle dress code: warriors were to cover themselves from head to toe in dried clay from the Asaro river and create elaborate masks with scary features, using pigs teeth and tusks to accentuate ghoulish features. The tribe would don this elaborate costume to raid neighboring villages by slowly moving into enemy territory in the misty, early morning light, walking down from the mountain like evil spirits. Not surprisingly, villagers were easily frightened away by the Asaro’s specter-like movements and appearances, allowing for an easy victory. 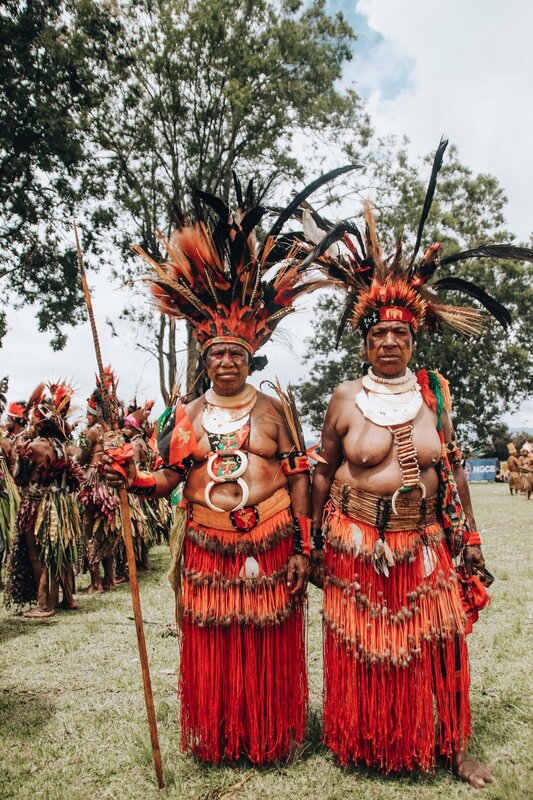 Because of their famous battle costumers, the tribe soon came to be known as the “Mudmen,” a name that tribal members still claim proudly to this day (though they no longer use their costumes to scare and raid neighboring villages!). One such man is Espional. Come travel through the amazingly diverse and naturally beautiful Papua New Guinea with Espional, and you will be in for an adventure of a lifetime!